Bab edh-Dhra (“Gate of the Arm”) is on the southeastern corner of the Dead Sea, on the south bank of Wadi Kerak. 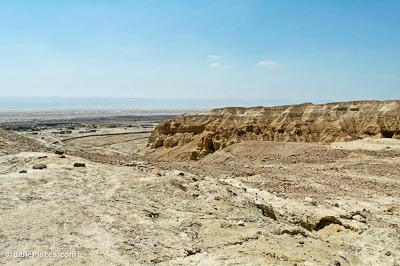 It has been suggested as one of the five “cities of the plain” in Genesis 13 and 19, and has been proposed by some to be the city of Sodom. One difficulty with this identification is that the destruction of the Bab edh-Dhra is typically dated to c. 2300 BC, about 200 years earlier than the biblical date for the destruction of Sodom and Gomorrah. The most remarkable feature of Early Bronze Bab edh-Dhra is the number of graves. While the population apparently numbered only 1,000 individuals, an estimated 20,000 tombs are located on site. 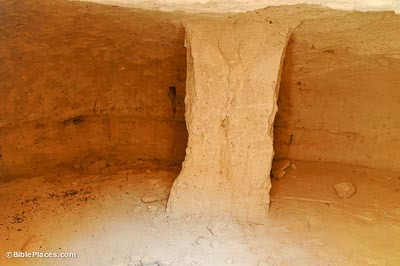 These family tombs would have held approximately half a million people and over 3 million pottery vessels. Rather than understanding them as a cemetery for semi-nomads, a better explanation is that they were a central burial ground for the country as a whole. The most common type of tomb is the “shaft grave.” A vertical shaft about six feet deep was cut through the soft limestone. Off this shaft one to five chambers were cut, each of which could hold four to six individuals and was approximately 7 feet in diameter and 3 feet high. Often, many pottery pieces were around the bone pile. Shaft graves are typical to Intermediate Bronze period, but they also date to Early Bronze I at Bab edh-Dhra. 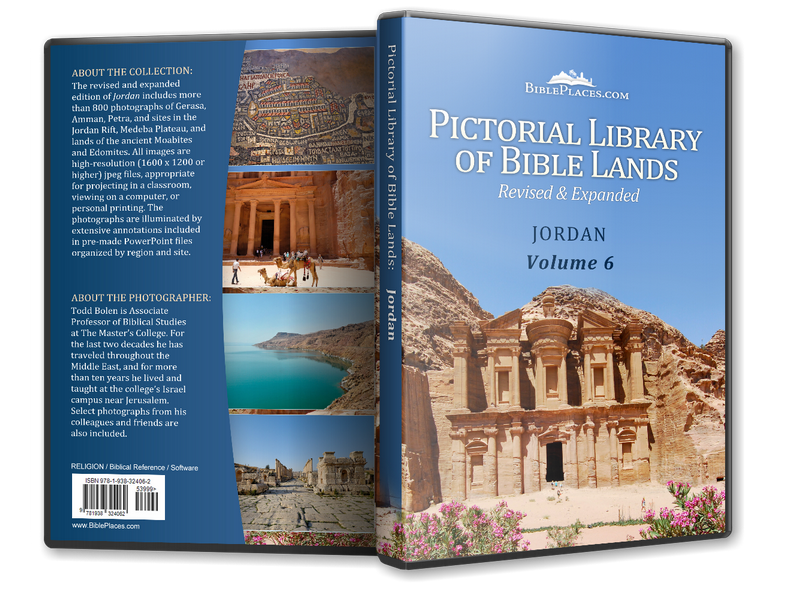 Smithsonian (Institute for Biblical & Scientific Studies) Briefly discusses the excavation of Bab edh-Dhra by the Smithsonian Institution. Has a picture of one of the skeletons from the site and a picture of a reconstruction of the city’s population. 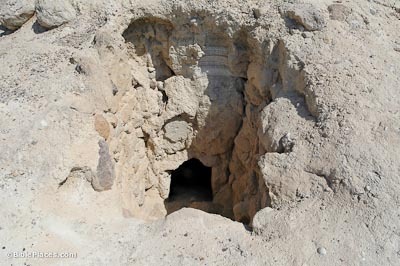 Evidence of Sodom and Gomorrah (ChristianAnswers.Net) Describes some of the archaeological evidence that has been found at Bab edh-Dhra. Written from the viewpoint that it is the biblical Sodom. 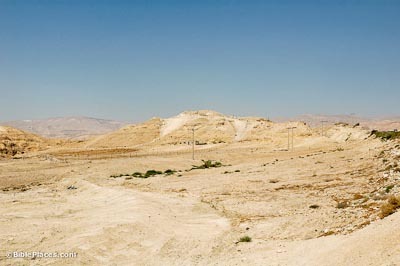 Sodom & Gomorrah (Atlantic Baptist University) Detailed discussion of the location of Sodom and Gomorrah. Also written from the viewpoint that Bab edh-Dhra is Sodom. Bab edh-Dhra’ (University of Melbourne) Contains a description of Tomb A72 with some images of plans and photographs.